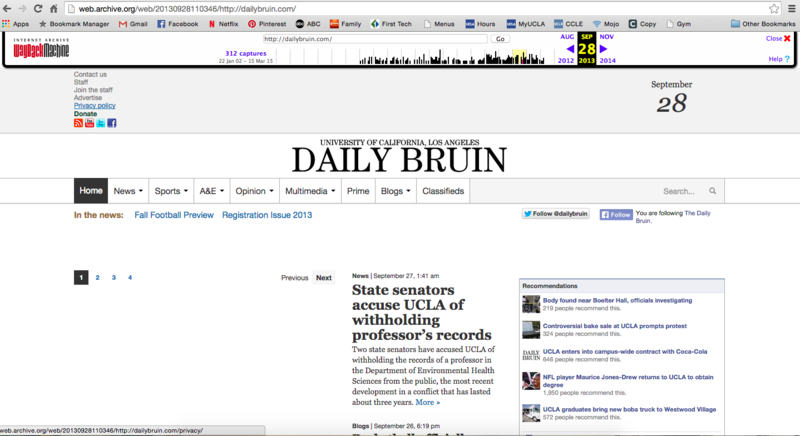 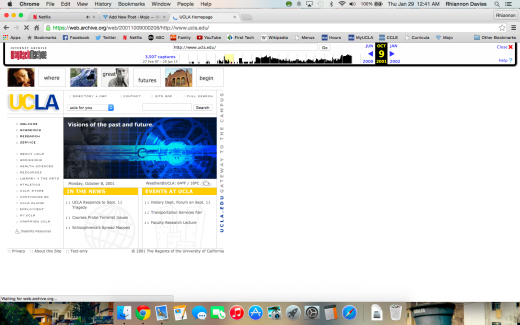 ‘The Daily Bruin recently revamped its website with a modern look for a modern audience. 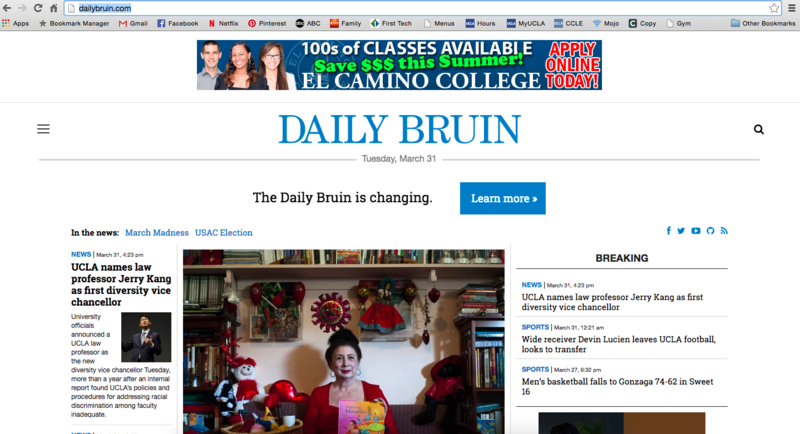 This change marks one of many shifts in The Bruin’s online presence. 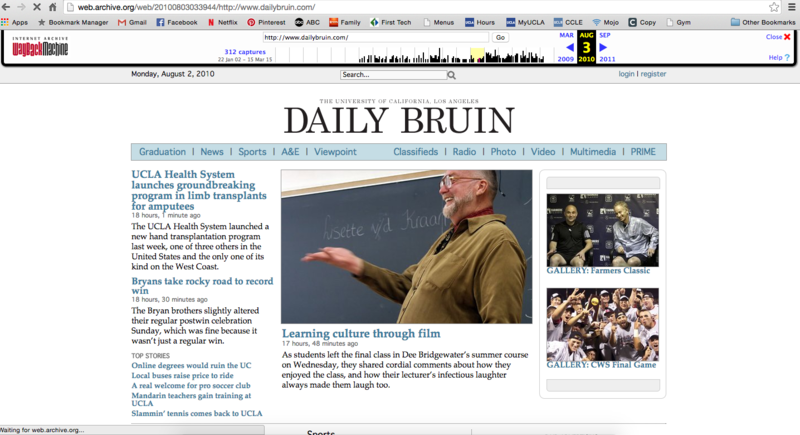 Since the website is changing, here is a look back at the Daily Bruin’s website for the last 13 years. 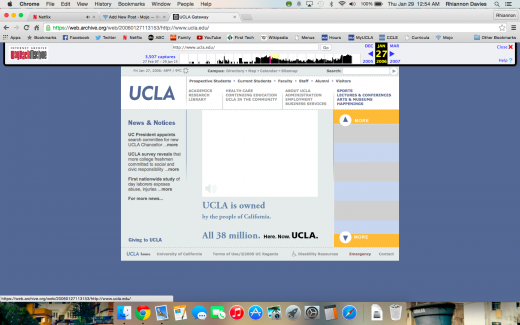 Let’s take a look back at UCLA’s website throughout the years. 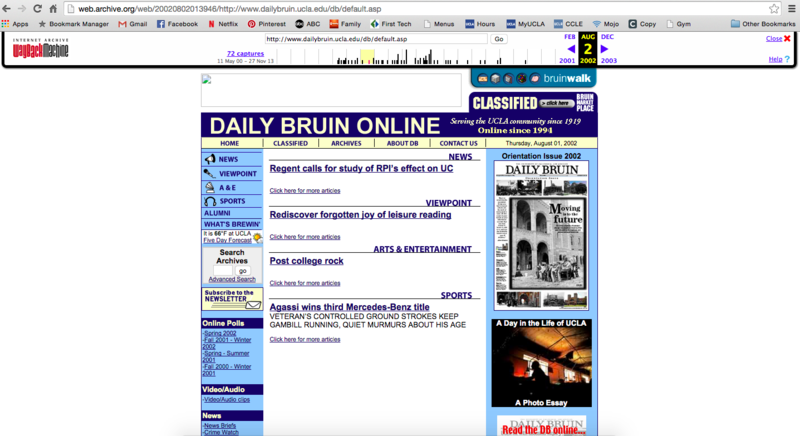 Above is UCLA’s homepage in 1999. 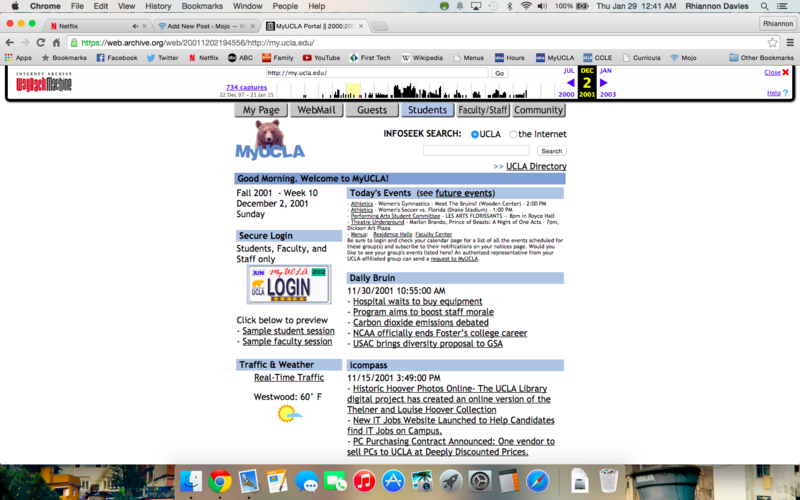 Feel free to click on this link to explore the website and pretend like you’ve traveled back in time. 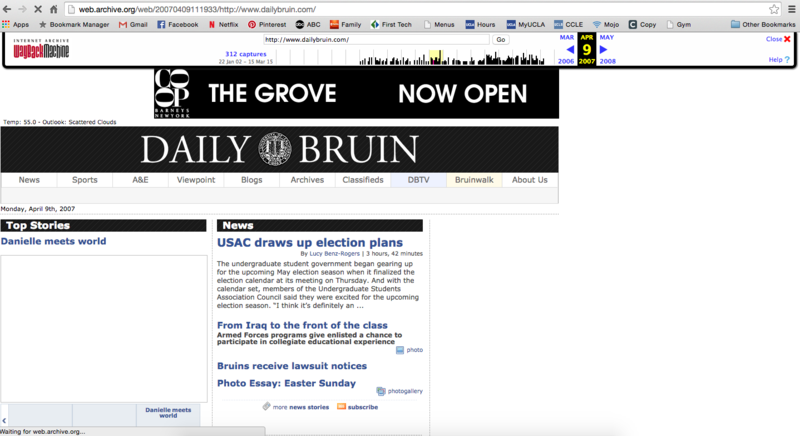 It’s perfect for procrastinating studying for midterms. 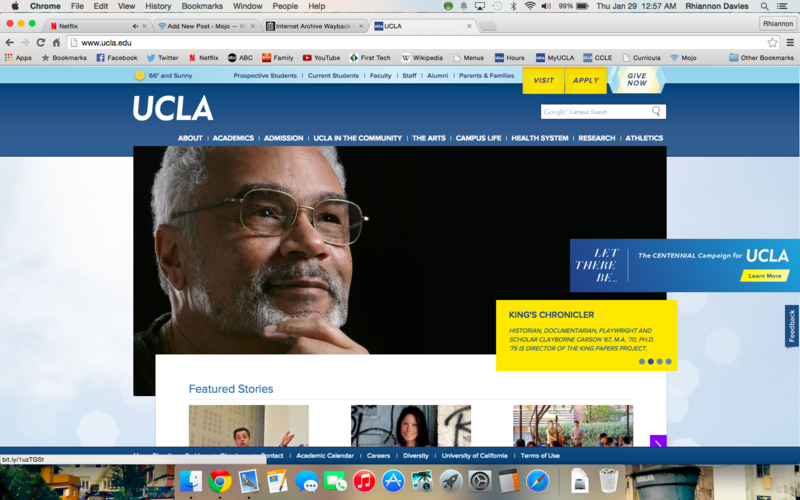 The homepage became slightly more modern in 2001, but, in my opinion, the UCLA logo definitely still needed some major work. And you can’t ever complain about my.ucla.edu again after you’ve seen the MyUCLA page from 2001. 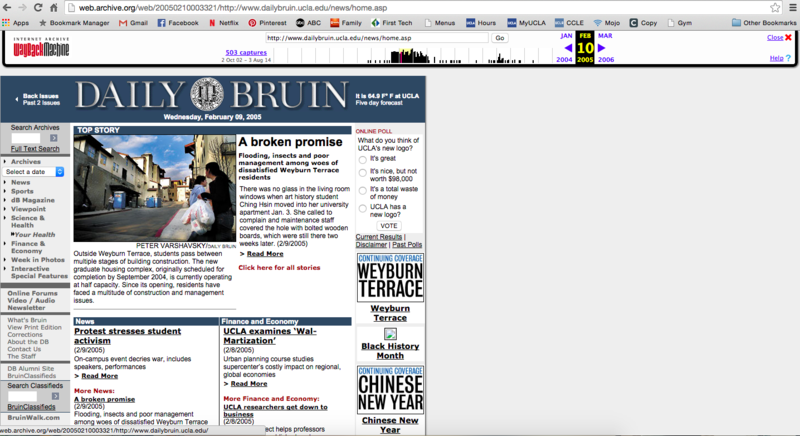 This is the homepage in 2006. Still a little rough compared to today, but it’s definitely coming along. And here it is today. We’ve come a long way.